SOUTH African mines minister, Mosebenzi Zwane, has set a new deadline for a redraft of the mining charter which he is quoted to have said would be a “revolutionary tool”. Speaking at a press conference before his budget vote speech in Parliament today, Zwane said the new mining charter would be published in a few weeks’ time. “It will empower the people of South Africa,” Zwane is quoted to have said in an article by BusinessLive, adding that the disputed notion of ‘once-empowered, always-empowered’ would also be tackled in the new document. 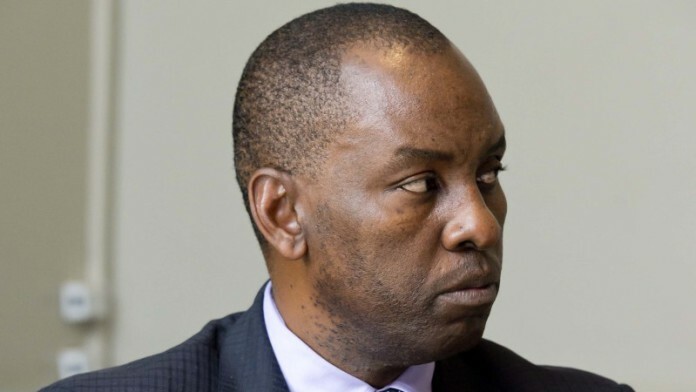 Zwane said there would be no need for the Chamber of Mines to have a declaratory judgement on whether past empowerment deals be recognised in perpetuity. The Chamber has prepared an application for the High Court but has not lodged it yet. The Chamber also said that gazetting a mining charter without consulting the industry could precipitate an application to interdict it, depending on its contents. “We believe that [the once empowered always empowered] principle was a genuine cry,” said Zwane. The way it had been dealt with “… will mean we will stop running to the courts and work together as the people of South Africa”. A major objection to the new charter is that the South African mining industry would face additional levies and taxes of R2bn to R3bn a year whilst R2bn already contributed by it for human resource development will be diverted into a new tax collection entity. Miningmx understands that the mining charter redraft is currently being examined by other government departments including trade and industry and the National Treasury. The latter is thought to be interested in the Department of Mineral Resources plans to create the new tax collection entity. The charter was supposed to be released at the end of March; then there were hopes Zwane could use his budget vote speech to launch the document.